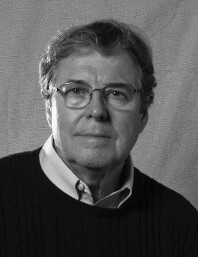 William Thomas Chambers is a highly honored oil portrait artist whose works are featured in public and private collections throughout the United States. The sensitivity that William expresses both in his paintings and towards his subjects is apparent in the selections exhibited here. His clients include former Illinois Governor Pat Quinn, Gonvernor James R. Thompson and Governor Jim Edgar, numerous corporate figures, individuals, and families. Born in Chicago, Illinois, William graduated from the American Academy of Art and received a Bachelor of Arts Degree from Northeastern Illinois University. Previous to his acclaim as a portrait painter, he was a successful illustrator who was exhibited repeatedly in the prestigious Annual of the New York Society of Illustrators. He has won numerous awards as well, including both the Grand Prize Award and the Peoples' Choice Award in the 1999 International Portrait Competition, held in Washington, DC, from the Portrait Society of America. In 2008 he placed in the top ten out of 1,300 entries in the International Portrait Competition from the Portrait Society of America, also held in Washington, DC. The last six years, he has been honored to have been selected by the Abraham Lincoln Presidential Library Foundation to paint portraits for the recipients of the Lincoln Leadership Prize, these portraits include President Bill Clinton, Steven Spielberg, "The Little Rock Nine," Doris Kearns Goodwin, Neil deGrasse Tyson and Prime Minister Tony Blair. All these portraits are part of the library's permanent collection in Springfield, Illinois. William Chambers has a highly practiced sense of design. Working in oil, he paints subjects of all ages. The setting in each painting is sensitively designed as a complement to the portrait subject. "Portraiture combines the best of all aspects of painting — landscape, still-life, genre — into one canvas, and demands the utmost of skill and heart," states William. "I employ all the elements of my landscape or still-life paintings into my portraits, with the added challenge of capturing my subject's personality, of conveying the true spirit of the person to be uniquely expressed in the portrait. When I begin a painting, whether it is a child or an adult, I approach the painting with excitement and reverence, ready to depict the true essence of the individual. Throughout the painting process I keep ever in mind the words of Charles W. Hawthorn, "Approach your subject in all humility and reverence — make yourself highly sensitive to its beauty." My gratitude to Kathleen Van Ella of Portraits Chicago. And most importantly to the person who made it possible for me to meet all these special people, and more importantly the love of my life and whom I owe all my success, my wife Grace.